These gingersnaps satisfy all my desires: light and crispy, with three spicy kinds of ginger: fresh, ground, and chunks of crystallized ginger speckled throughout. 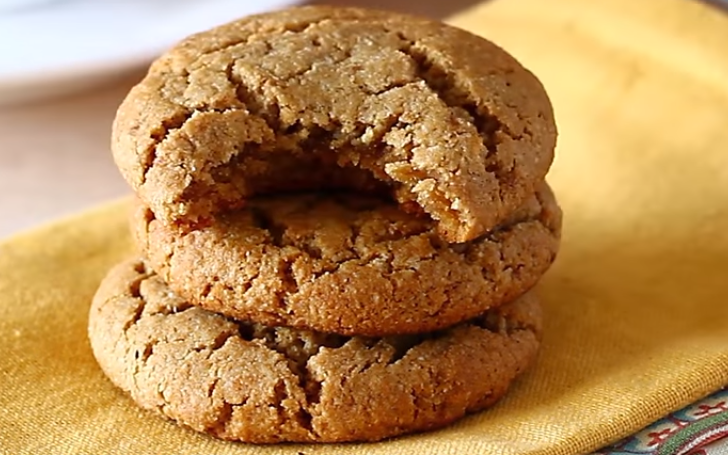 There’s no mistaking these for an everyday spice cookie; they are ginger, through and through. Preheat oven to 170°C. Cream butter and sugar together until fluffy. Add egg beat well then add golden syrup. Mix well. Mix the flour, baking powder, bicarbonate of soda salt and spices together and add to creamed mixture until soft dough forms. Roll into small balls (approximately 1 tbsp each). Place on greased baking sheets 2" apart don't press down. Bake for 15 mins until golden brown. Immediately sprinkle sugar on top of each cookie(optional). Let cool 5 mins on baking sheet then remove to wire rack to cool completely.